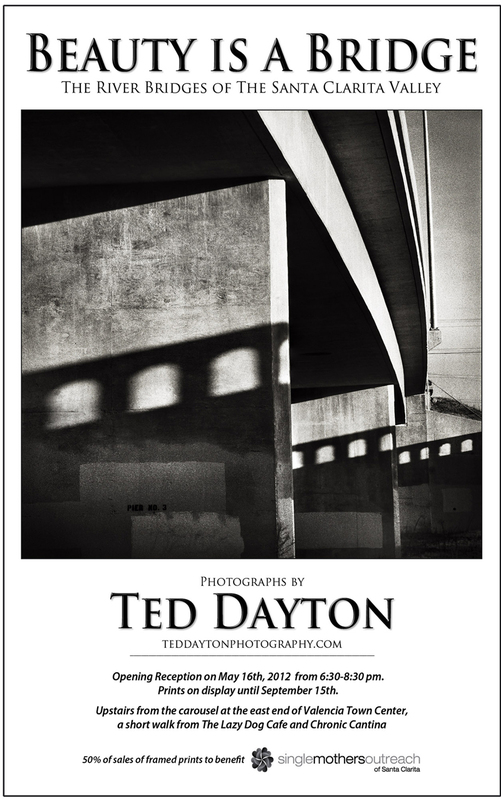 “Beauty Is a Bridge,” a collection of framed black-and-white photographs of the bridges of the Santa Clarita Valley taken by local photographer Ted Dayton, will go on four-month display at the Westfield Valencia Town Center beginning May 16. A share of proceeds from the exhibit will benefit Single Mothers Outreach of Santa Clarita. Single Mothers Outreach (SMO) was founded in 1995 as a support and resource for single mothers struggling through the effects of divorce or the death of a spouse. Its mission is to empower single parents and their children by providing hope, support and resources so that families can become self-sustaining. 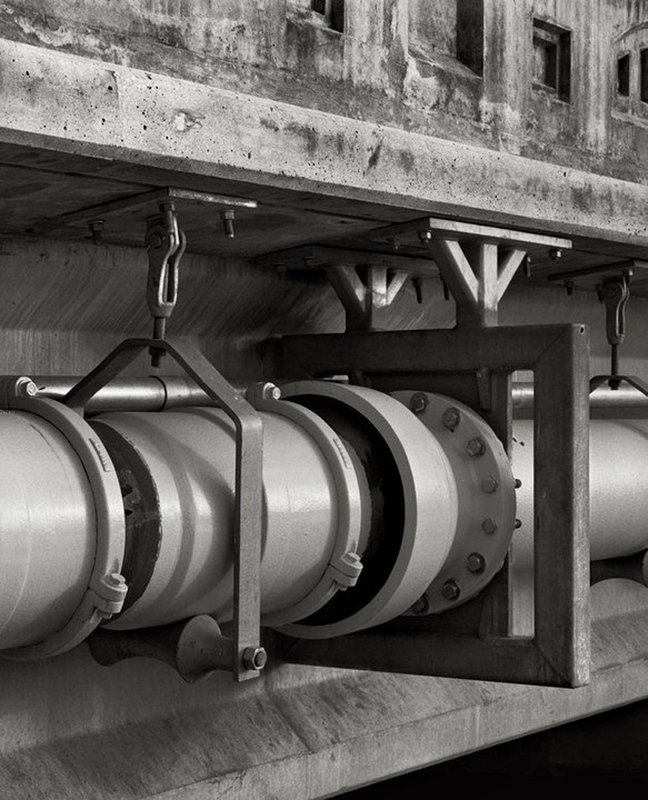 The project began in February 2011 when Dayton, riding his bicycle on a bike path beneath a bridge crossing the Santa Clara River, discovered an architecturally compelling section and later returned to it with a camera loaded with black-and-white film. Over a four-month period of time, Dayton photographed 27 traffic bridges that rise above the rivers and creeks flowing westward through the Santa Clarita Valley. Dayton said he was drawn to the bridges because they presented an opportunity for an extended creative project that rendered uncommon views of iconic, overlooked objects. The result is the most extensive collection of his 35-year career. “Most would not think of these bridges as aesthetically appealing, but I have grown to see them as quite beautiful, and they have turned out to be a source of unlimited photographic subject matter,” Dayton said. Dayton’s association with Single Mothers Outreach began in 2010, when he photographed participants in an SMO fundraiser known as “Empowering Hearts.” His interest in partnering with SMO for “Beauty Is a Bridge” was born out of a desire to give the project broader meaning than it would have had as a mere display of photographs. The exhibit consists of more than 35 black-and-white prints, ranging in size from 5 x 5 inches to 16 x 20 inches, matted in plain, black frames. Dayton is donating 50 percent of proceeds from the sale of framed prints to Single Mothers Outreach. “Beauty Is a Bridge” opens May 16 at the east end of the mall, upstairs from the carousel, with an opening reception from 6:30 p.m. to 8:30 p.m. It runs through September 15 and is open during regular mall business hours. Admission is free.